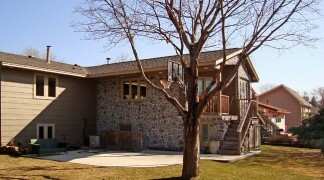 Additions, more than any other remodeling project, need a problem solver. That’s us. Home additions are a great solution for a growing family or to create more living space in your home. Adding a bedroom or bathroom, attic renovation or sun room additions are popular in the St Paul and Minneapolis area. Garage additions are also a practical choice. Customize a garage to suit what it is used for – from size to electrical to heating to built-in storage. Second Story additions can be less expensive than adding on to your home’s structure because it more easily integrates with your existing home layout. It’s a great option if it is difficult to build outward. Build upward instead! It usually costs more to move than to improve. 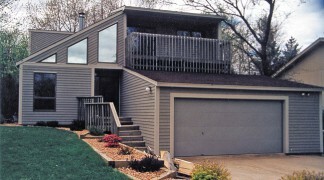 Home additions allow you to customize your existing home for your lifestyle. For the best success, plan carefully, hire an experienced contractor and approach the project from the perspective that you’ll remodel affected areas first – and then design and build additions second. You’ll most likely save money and be happier with your results. Planning a home addition? We have built everything from modest tool sheds to million dollars custom homes. We have been given many projects because our clients know us and trust us. We can work with your plans and ideas or bring our considerable expertise to the planning stage. We listen, we communicate back to you, we help establish a fair budget, and we then move from desires and dreams to “done”. Home additions often require good problem solving. Experience is vital to the success of this type of project. Thank you for considering Home Customizers as your home additions contractor. As with all of Home Customizers projects, we bring the best subs, the best materials, and the best practices to the job.